Convolutional neural networks are deep artificial neural networks that are used primarily to classify images (e.g. name what they see), cluster them by similarity (photo search), and perform object recognition within scenes. They are algorithms that can identify faces, individuals, street signs, tumors, platypuses and many other aspects of visual data. Convolutional networks perform optical character recognition (OCR) to digitize text and make natural-language processing possible on analog and hand-written documents, where the images are symbols to be transcribed. CNNs can also be applied to sound when it is represented visually as a spectrogram. More recently, convolutional networks have been applied directly to text analytics as well as graph data with graph convolutional networks. The efficacy of convolutional nets (ConvNets or CNNs) in image recognition is one of the main reasons why the world has woken up to the efficacy of deep learning. They are powering major advances in computer vision (CV), which has obvious applications for self-driving cars, robotics, drones, security, medical diagnoses, and treatments for the visually impaired. Convolutional neural networks ingest and process images as tensors, and tensors are matrices of numbers with additional dimensions. In other words, tensors are formed by arrays nested within arrays, and that nesting can go on infinitely, accounting for an arbitrary number of dimensions far greater than what we can visualize spatially. A 4-D tensor would simply replace each of these scalars with an array nested one level deeper. Convolutional networks deal in 4-D tensors like the one below (notice the nested array). ND4J and Deeplearning4j use NDArray synonymously with tensor, or multi-dimensional array. A tensor’s dimensionality (1,2,3…n) is called its order; i.e. a fifth-order tensor would have five dimensions. So instead of thinking of images as two-dimensional areas, in convolutional nets they are treated as four-dimensional volumes. These ideas will be explored more thoroughly below. From the Latin convolvere, “to convolve” means to roll together. For mathematical purposes, a convolution is the integral measuring how much two functions overlap as one passes over the other. Think of a convolution as a way of mixing two functions by multiplying them. The next thing to understand about convolutional nets is that they are passing many filters over a single image, each one picking up a different signal. At a fairly early layer, you could imagine them as passing a horizontal line filter, a vertical line filter, and a diagonal line filter to create a map of the edges in the image. Convolutional networks take those filters, slices of the image’s feature space, and map them one by one; that is, they create a map of each place that feature occurs. By learning different portions of a feature space, convolutional nets allow for easily scalable and robust feature engineering. So convolutional networks perform a sort of search. Picture a small magnifying glass sliding left to right across a larger image, and recommencing at the left once it reaches the end of one pass (like typewriters do). That moving window is capable recognizing only one thing, say, a short vertical line. Three dark pixels stacked atop one another. It moves that vertical-line-recognizing filter over the actual pixels of the image, looking for matches. Each time a match is found, it is mapped onto a feature space particular to that visual element. In that space, the location of each vertical line match is recorded, a bit like birdwatchers leave pins in a map to mark where they last saw a great blue heron. A convolutional net runs many, many searches over a single image – horizontal lines, diagonal ones, as many as there are visual elements to be sought. Convolutional nets perform more operations on input than just convolutions themselves. After a convolutional layer, input is passed through a nonlinear transform such as tanh or rectified linear unit, which will squash input values into a range between -1 and 1. The first thing to know about convolutional networks is that they don’t perceive images like humans do. Therefore, you are going to have to think in a different way about what an image means as it is fed to and processed by a convolutional network. Convolutional networks perceive images as volumes; i.e. three-dimensional objects, rather than flat canvases to be measured only by width and height. That’s because digital color images have a red-blue-green (RGB) encoding, mixing those three colors to produce the color spectrum humans perceive. A convolutional network ingests such images as three separate strata of color stacked one on top of the other. So a convolutional network receives a normal color image as a rectangular box whose width and height are measured by the number of pixels along those dimensions, and whose depth is three layers deep, one for each letter in RGB. Those depth layers are referred to as channels. As images move through a convolutional network, we will describe them in terms of input and output volumes, expressing them mathematically as matrices of multiple dimensions in this form: 30x30x3. From layer to layer, their dimensions change for reasons that will be explained below. You will need to pay close attention to the precise measures of each dimension of the image volume, because they are the foundation of the linear algebra operations used to process images. Now, for each pixel of an image, the intensity of R, G and B will be expressed by a number, and that number will be an element in one of the three, stacked two-dimensional matrices, which together form the image volume. Rather than focus on one pixel at a time, a convolutional net takes in square patches of pixels and passes them through a filter. That filter is also a square matrix smaller than the image itself, and equal in size to the patch. It is also called a kernel, which will ring a bell for those familiar with support-vector machines, and the job of the filter is to find patterns in the pixels. Credit for this excellent animation goes to Andrej Karpathy. Imagine two matrices. One is 30x30, and another is 3x3. That is, the filter covers one-hundredth of one image channel’s surface area. We are going to take the dot product of the filter with this patch of the image channel. If the two matrices have high values in the same positions, the dot product’s output will be high. If they don’t, it will be low. In this way, a single value – the output of the dot product – can tell us whether the pixel pattern in the underlying image matches the pixel pattern expressed by our filter. Let’s imagine that our filter expresses a horizontal line, with high values along its second row and low values in the first and third rows. Now picture that we start in the upper lefthand corner of the underlying image, and we move the filter across the image step by step until it reaches the upper righthand corner. The size of the step is known as stride. You can move the filter to the right one column at a time, or you can choose to make larger steps. At each step, you take another dot product, and you place the results of that dot product in a third matrix known as an activation map. The width, or number of columns, of the activation map is equal to the number of steps the filter takes to traverse the underlying image. Since larger strides lead to fewer steps, a big stride will produce a smaller activation map. This is important, because the size of the matrices that convolutional networks process and produce at each layer is directly proportional to how computationally expensive they are and how much time they take to train. A larger stride means less time and compute. A filter superimposed on the first three rows will slide across them and then begin again with rows 4-6 of the same image. If it has a stride of three, then it will produce a matrix of dot products that is 10x10. That same filter representing a horizontal line can be applied to all three channels of the underlying image, R, G and B. And the three 10x10 activation maps can be added together, so that the aggregate activation map for a horizontal line on all three channels of the underlying image is also 10x10. Now, because images have lines going in many directions, and contain many different kinds of shapes and pixel patterns, you will want to slide other filters across the underlying image in search of those patterns. You could, for example, look for 96 different patterns in the pixels. Those 96 patterns will create a stack of 96 activation maps, resulting in a new volume that is 10x10x96. In the diagram below, we’ve relabeled the input image, the kernels and the output activation maps to make sure we’re clear. What we just described is a convolution. You can think of Convolution as a fancy kind of multiplication used in signal processing. Another way to think about the two matrices creating a dot product is as two functions. The image is the underlying function, and the filter is the function you roll over it. One of the main problems with images is that they are high-dimensional, which means they cost a lot of time and computing power to process. Convolutional networks are designed to reduce the dimensionality of images in a variety of ways. Filter stride is one way to reduce dimensionality. Another way is through downsampling. The next layer in a convolutional network has three names: max pooling, downsampling and subsampling. The activation maps are fed into a downsampling layer, and like convolutions, this method is applied one patch at a time. In this case, max pooling simply takes the largest value from one patch of an image, places it in a new matrix next to the max values from other patches, and discards the rest of the information contained in the activation maps. Only the locations on the image that showed the strongest correlation to each feature (the maximum value) are preserved, and those maximum values combine to form a lower-dimensional space. Much information about lesser values is lost in this step, which has spurred research into alternative methods. But downsampling has the advantage, precisely because information is lost, of decreasing the amount of storage and processing required. The image below is another attempt to show the sequence of transformations involved in a typical convolutional network. The actual input image that is scanned for features. The light rectangle is the filter that passes over it. Activation maps stacked atop one another, one for each filter you employ. The larger rectangle is one patch to be downsampled. The activation maps condensed through downsampling. A new set of activation maps created by passing filters over the first downsampled stack. The second downsampling, which condenses the second set of activation maps. A fully connected layer that classifies output with one label per node. As more and more information is lost, the patterns processed by the convolutional net become more abstract and grow more distant from visual patterns we recognize as humans. So forgive yourself, and us, if convolutional networks do not offer easy intuitions as they grow deeper. 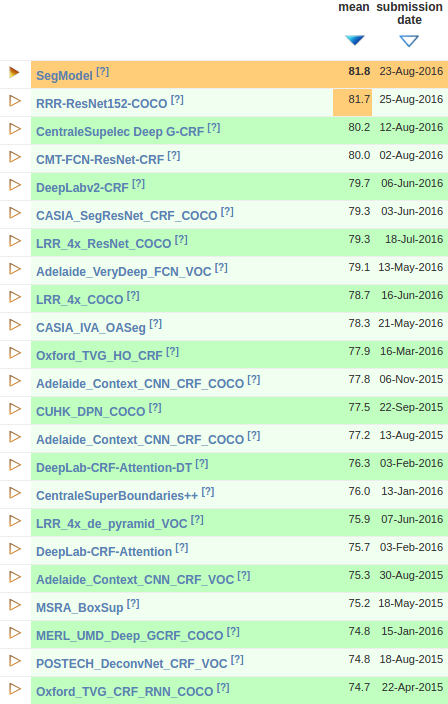 All Deeplearning4j examples of convolutional networks are available here. To see DL4J convolutional neural networks in action, please run our examples after following the instructions on the Quickstart page. Skymind wraps NVIDIA’s cuDNN and integrates with OpenCV. Our convolutional nets run on distributed GPUs using Spark, making them among the fastest in the world. You can learn how to build a image recognition web app with VGG16 here and how to deploy CNNs to Android here. Zhe Cao, Tomas Simon, Shih-En Wei, and Yaser Sheikh, Realtime Multi-Person 2D Pose Estimation using Part Affinity Fields, CVPR, 2017. Leonid Pishchulin, Eldar Insafutdinov, Siyu Tang, Bjoern Andres, Mykhaylo Andriluka, Peter Gehler, and Bernt Schiele, Deepcut: Joint subset partition and labeling for multi person pose estimation, CVPR, 2016. Shih-En Wei, Varun Ramakrishna, Takeo Kanade, and Yaser Sheikh, Convolutional pose machines, CVPR, 2016. Alejandro Newell, Kaiyu Yang, and Jia Deng, Stacked hourglass networks for human pose estimation, ECCV, 2016. Tomas Pfister, James Charles, and Andrew Zisserman, Flowing convnets for human pose estimation in videos, ICCV, 2015. Jonathan J. Tompson, Arjun Jain, Yann LeCun, Christoph Bregler, Joint training of a convolutional network and a graphical model for human pose estimation, NIPS, 2014. Subhashini Venugopalan, Marcus Rohrbach, Jeff Donahue, Raymond Mooney, Trevor Darrell, Kate Saenko, Sequence to Sequence–Video to Text, arXiv:1505.00487. Xiong, Caiming, Stephen Merity, and Richard Socher. “Dynamic Memory Networks for Visual and Textual Question Answering.” arXiv:1603.01417 (2016). Jin-Hwa Kim, Kyoung Woon On, Jeonghee Kim, Jung-Woo Ha, Byoung-Tak Zhang, Hadamard Product for Low-rank Bilinear Pooling, arXiv:1610.04325.